Corner Rounders, corner round your paper document. 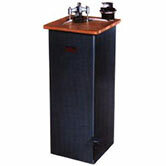 are also available in several table-top and floor mounted models. 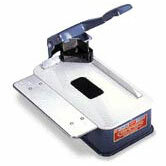 Cutting Unit size available: 1/8", 1/4", and 3/8"
The Lassco CR-50B is a Heavy Duty Manual Corner Rounder. 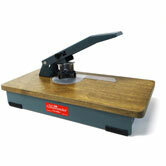 It is small enough to be table top but sturdy enough to corner round paper and plastic up to a 1/2" thick. 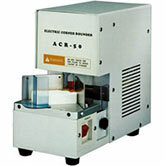 The Lassco CR-50P Heavy Duty Floor Model Corner Rounder is a production model corner rounder can corner round stacks up to 1/2" thick. 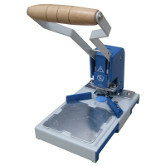 The Diamond 5 Electric Corner Rounder is a heavy duty, accurate electric tabletop corner rounder paper punch it corner rounds up to 1 7/8" of paper. 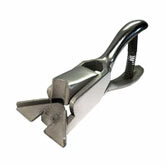 1/8", 1/4" 3/8" Corner Rounding Dies available.